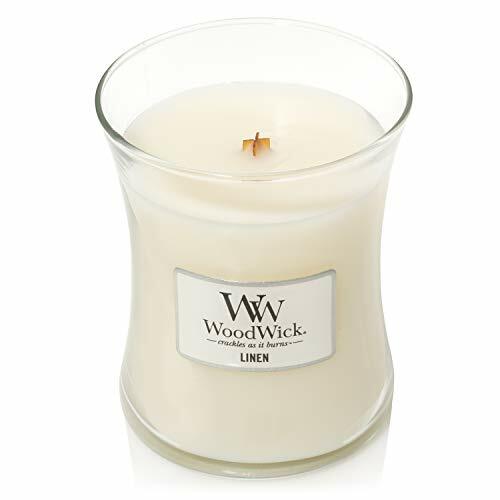 This medium Woodwick Linen Jar Candle releases a superb fragrance when lit that will help improve the atmosphere of your home. This Woodwick Jar Candle contains a single natural wood wick and comes with a crafted wooden lid. Treat your home to the delightful Linen fragrance and it will remind you of fresh laundry.